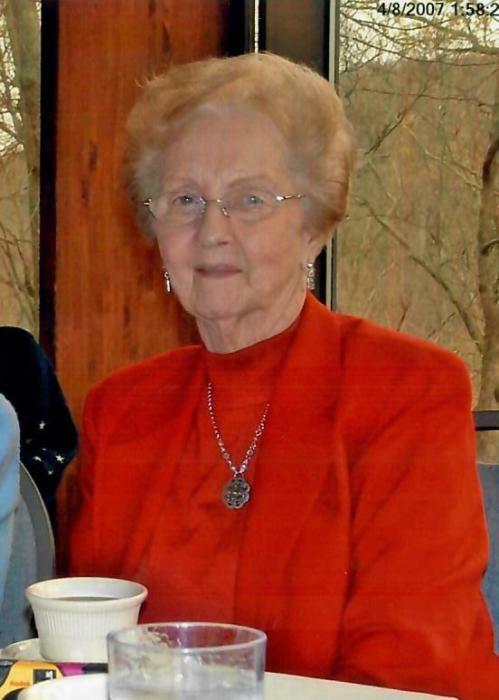 Mrs. Betty Jean Hartley, age 92, of Salem passed away Wednesday, April 3 at Baptist Health Floyd. Mrs. Hartley was born February 9, 1927 in Orange County, Indiana the daughter of L. Glenn and Anna Mae Bishop Clipp. She was a member of Carter’s Creek Christian Church and a former member of the Hospital Auxiliary, Mother’s Club and Red Hat Society. She also sang with the Sweet Adeline’s. Betty married Eugene Hartley on April 14, 1946 and he preceded her in death on February 12, 2000. She was also preceded in death by her parents. She is survived by her daughter: Rita Kay (Ronnie) Maudlin of Salem, one sister: Mary Rose Rosenbaum of Richmond, Indiana, a sister-in-law: Rosie (Carroll) Motsinger of Pickerington, Ohio, two grandchildren: Kara (Jim) Stickels of Greenwood and Spencer (Jennifer) Maudlin of Salem, and four great-grandchildren: Kaylee and Shelby Stickels of Greenwood and Ava and Landon Maudlin of Salem. Funeral services will be held Saturday at 1:00PM at Weathers Funeral Home with Larry Oetzel officiating. Burial will follow in Crown Hill Cemetery. Visitation will be Saturday from 9AM-1PM at the funeral home. Memorial donations may be made to American Heart Association or Gideon's. Envelopes will be available at the funeral home.